Cookies & Cream Cheesecake is rated 5.0 out of 5 by 1. Rated 5 out of 5 by dshiles from Great purchase! I bought this cheesecake a couple of weeks ago for my fiance for teacher appreciation week. It arrived on time and was delicious! An elegant marriage of two classic favorites. 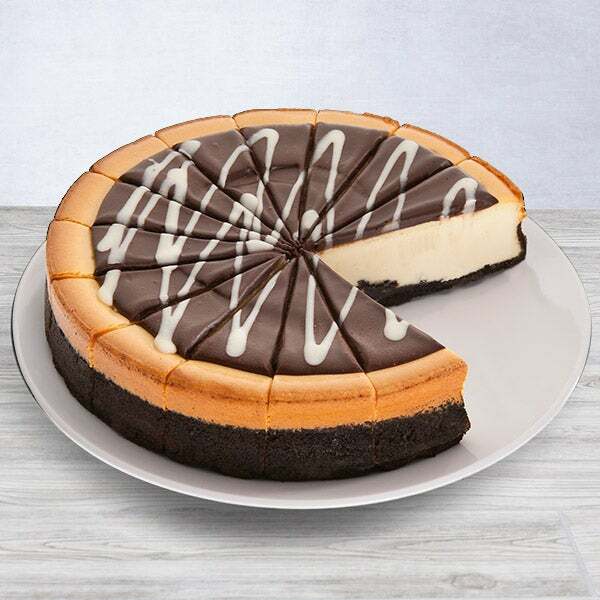 Our delicious Cookies and Cream Cheesecake is baked into a chocolate cookie crust, and topped with a layer of creamy chocolate. And, to add the that little extra something, we've drizzled the top with our richest, creamiest white chocolate. This luscious cake is so divine, one might really not be enough.